Few verifiable statistics are more telling about automotive quality than when a customer repeats purchasing a particular brand. In those terms, GM and Ford are at the head of the pack in front of Toyota and Honda. The Japanese automakers suffered somewhat after the earthquake and tsunami that struck the island in March of 2011, causing some buyers to move to other brands. In Experian’s Automotive Industry Market Trends and Loyalty report, Toyota took third in overall corporate loyalty, with 45.7 percent of their first quarter 2012 customers purchasing or leasing another Toyota vehicle. The brand has regained nearly four full points since the second quarter of 2011, when the ranking fell to 41.8 percent. Honda's corporate loyalty was 42.1 percent in the first quarter of 2012, after dropping to 36.4 percent in the third quarter of 2011. Meanwhile, General Motors and Ford currently rank first and second in corporate loyalty during for the first quarter of 2012 at 48.4 percent and 47.4 percent, respectively. Almost one in two buyers of GM and Ford vehicles are repurchasing the same brand and that speaks volumes about American quality. "While General Motors and Ford continue to battle for the top spot in corporate loyalty, Toyota and Honda were both able to significantly tighten the race in the first quarter of 2012," said Jeffrey Anderson, Experian Automotive's director of analytics and consulting. "After the earthquake and tsunami, the Japanese OEMs suffered significant production disruptions, and many of their customers opted to go to another manufacturer when they returned to market. The drop in corporate loyalty appears to have been a temporary phenomenon, however, as corporate loyalty is returning to pre-earthquake levels." Chrysler saw its corporate loyalty-ranking rise from 32.6 percent in the first quarter of 2011 to 36.2 percent during the same period in 2012. They also posted the biggest overall gains in unit sales (up 115,000) and market share, moving up 2.4 percentage points. "Chrysler continues to gain momentum, thanks in part to the strong performance of the Chrysler 200, which grew its sales by more than 22,000 units," Anderson said. "The Jeep and Ram brands also continue to exhibit strong sales, as Chrysler now has a more balanced portfolio of passenger cars and light trucks to help hedge against fluctuations in fuel prices." Other significant results include the fact the next generation VW Passat is the best selling new vehicle entry, selling over 24,000 units in the first quarter this year. It was followed buy the Chevrolet Sonic at 21,000 models sold. The best selling returning models include the Ford Focus at 29,000, Nissan Altima at 26,000 and Toyota Camry moving 25,000 units. 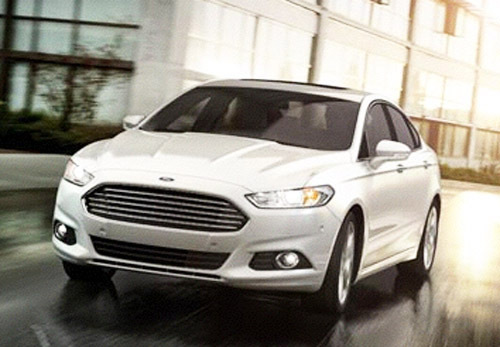 Notably Ford scored seven of the Top 10 models for brand loyalty with the Ford Fusion at 61.1 percent return buyers. Meanwhile, GM showed the largest loss of market share at 1.7 percent – of course when you’re on top, there’s more room below you than there is above.